“My New Beginnings Litter” Azlan is my precious boy, and he has stolen my heart. He is the Complete Package! His show ring presence demands attention. He is a perfectly sound mover, with a lovely silhouette, magnificent coat that is the purest of pure white and the darkest pigment you will ever see. His beautiful head is so true and correct to type with correct eye shape and placement, and everything in moderation as the standard calls for. He is the Judges consistent Best of Breed winner and awarded or considered at Group Level more times than not. 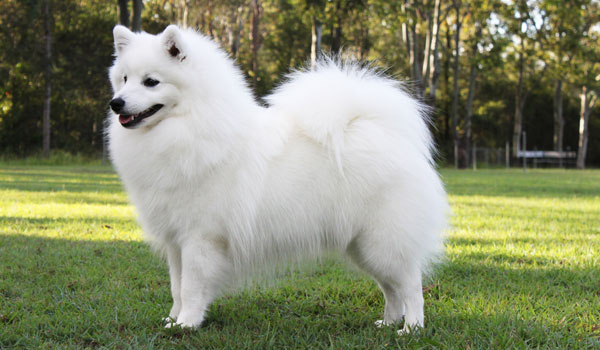 He really is the Signature Blend of my (Shanspitz Kennels) consistently breeding Quality Japanese Spitz. I am so proud of all his achievements, based on his merit and his merit alone. 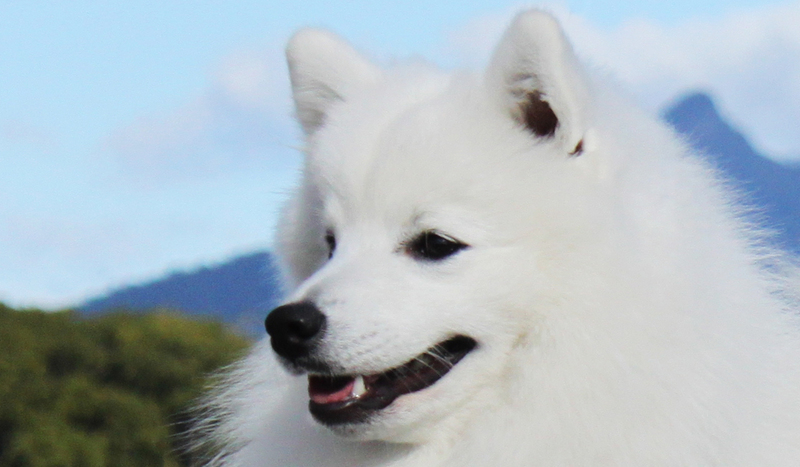 RUNNER UP BEST IN SHOW at NSW Japanese Spitz Specialty, July 2016 (45 entries). Multiple Best Exhibit in Groups, Multiple Runner up Best Exhibit in Groups, Multiple Classes in Show and in Group, Multiple Royal Best of Breed winner Consistently winning the Breed, being awarded and considered for Best & Runner up in Group and achieving Classes in Group & in Show! He has made me very proud achieving his Australian Championship title easily against adult competition and his Supreme Title by 3.5years from minimal showing due to my maternal duties. Azlan became an Australian Champion at 8 months of age and was awarded his first Best Exhibit in Group at 11mths of age. 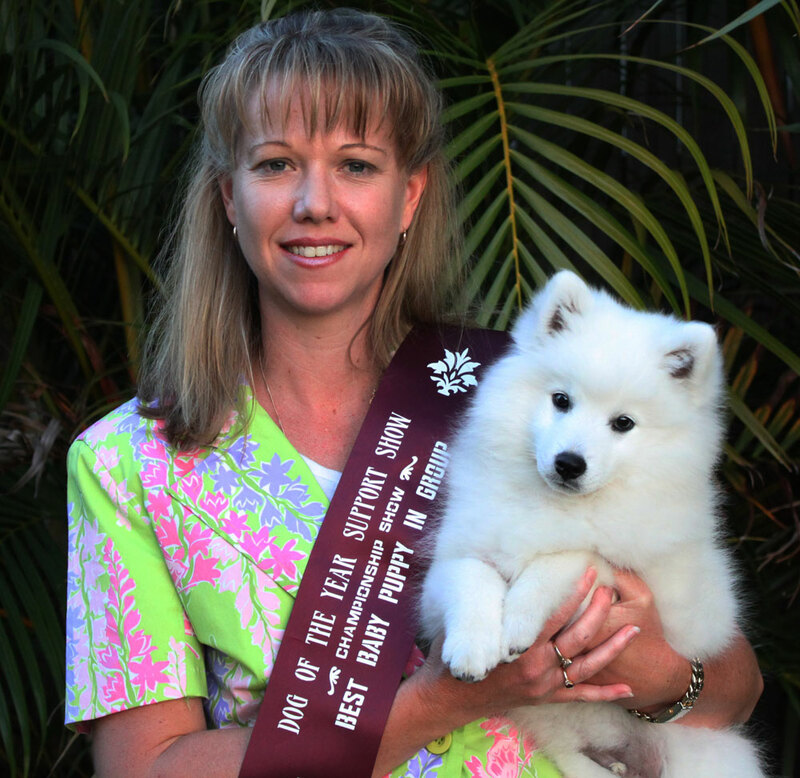 He was the Number Two Rising Star Japanese Spitz in Australia, in 2014 (behind his sister Portia). He is the most affectionate dog you will meet, he loves nothing more than sitting on my lap with one paw over each of my shoulders and laying on my stomach and chest for big bear hugs from me. He usually does this up to 20 times a day, it can get a bit annoying at times, lol. He loves everyone and everything, he is a social butterfly.